Bought this watch for my sons 21st and he loves it! It’s a really classy looking watch. Fast delivery too. Would definitely recommend. 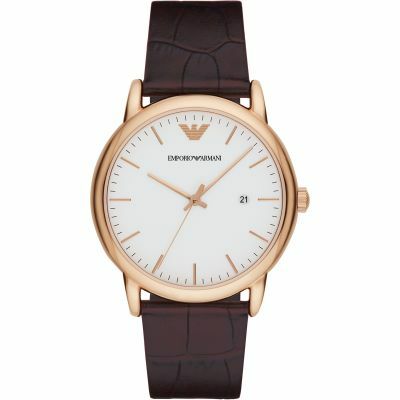 A really stylish watch which my 16 year old son loved for his birthday.Its a classic watch which does what it says on the tin.Think hell have it for years to come, would recommend this. Great watch, delivered in 2 days and no problems what so ever. A unique and beautiful watch. This is a very classy watch which looks excellent. The amazing design has people commenting on it all the time. However, be warned that the glass of the watch face and the clasp does scratch quite easily. 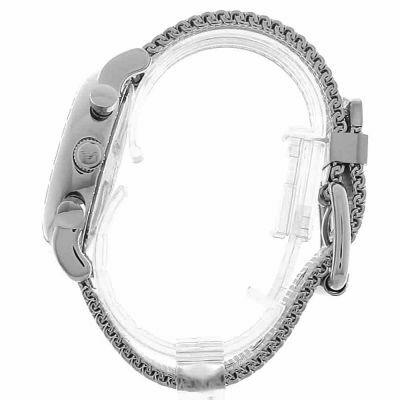 Also, the watch strap sometimes hangs down as it falls through the buckle. I brought this as a gift and had a sneak peak before wrapping it up, it is hands down one of the most beautiful well made watches Ive ever seen. Ive always loved armarni watches but this one stands out in a league of its own. The chronograph dial and contrast between the Matte black dial and silver looks very classy. The actual strap of the watch is my favourite part of this piece, Ive never seen a watch like it , it looks lovely in the picture and even better in life, very intricate and well made , the watch looks so much more expensive than it is, thanks to the watch shop and their affordable price ! 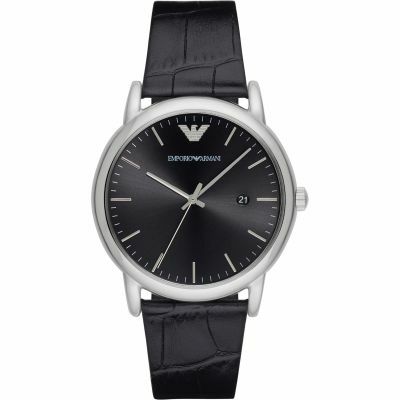 Looks amazing with a smart suit for formal occasions and weddings, recipient loved it and had lots of comments about his new watch! I Used the click and collect service which was so quick and efficient and I was given a lovely bag too. I dont have a single bad thing to say about the watch or service Ive received, and think its needless to say I highly reccomend this watch and the watch shop! The watch it is amazing and the design is perfect. Looks exactly like in the presentation.\r\nthe belt makes the watch to be something different, it is very elegant design and comfortable. The only issue with the item is the loop that holds the belt, which seems a bit loose. The watch it is amazing and the design is perfect. Looks exactly like in the presentation. 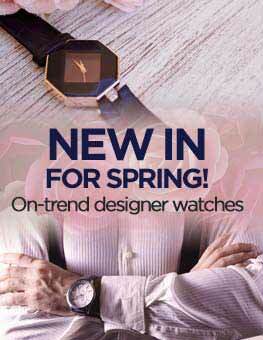 the belt makes the watch to be something different, it is very elegant design and comfortable. The only issue with the item is the loop that holds the belt, which seems a bit loose. 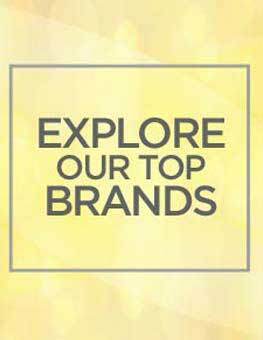 Very good product, great quality and very aesthetically pleasing to the eye. I would highly recommend purchasing. Love the watch! Its very stylish and doesnt weigh as much as I thought it would. Really nice design and would definitely recommend! 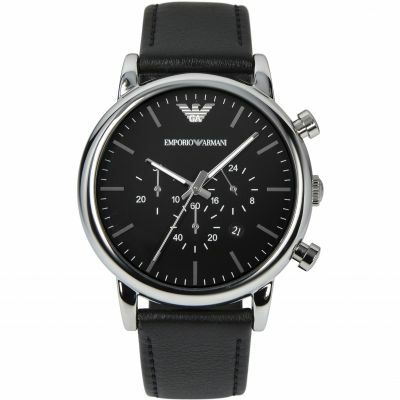 Bought this for my partner, Cant fault it, very nice watch and fast delivery!! ordered on Sunday morning and was wearing my fantastic new watch on Monday evening !! Really good quality, looks just as it does in the image. This watch is simply stunning! It feels nice on your wrist, it is made extremely well, and the detail is magnificent. Even the packaging and presentation box looks great. I have received no end of comments and compliments about this watch and I would definitely 100% recommend. 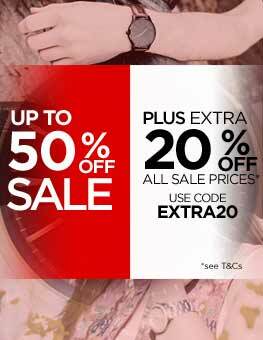 A top quality watch for a very reasonable price!!! This item is so great! 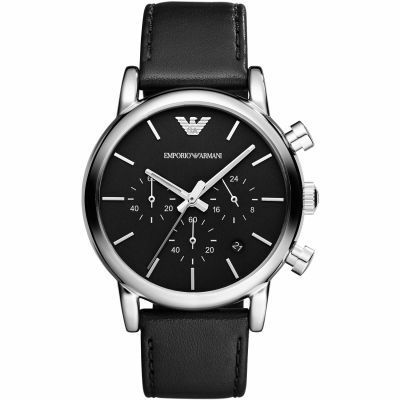 I bought this item together with Ladies Emporio Armani Watch AR7361 a lovely watch ! as a couple watch to match-up with our two-tone design wedding ring for my wedding next year. The mesh strap is so elegant and very versatile look when fit on my coat.I am so much excited to wear this piece. My wedding proposal to my long time girl friend8 years will be this year and I am on the process and planning of wedding proposal. 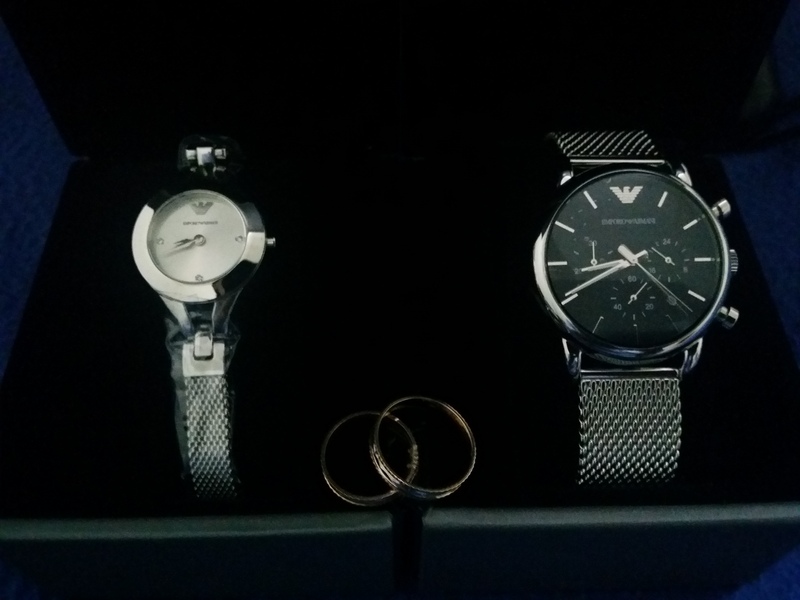 Perhaps I will still need another couple watch to buy here in watchshop to match with our engagement ring. I bought 2 engagement rings not a typical proposal tradition with only one ring for the girl 1 for myself, and 1 for her.I attached the watches together with our wedding ring. What a great watch. 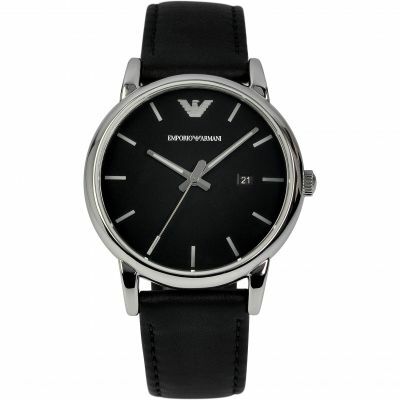 I use this watch for formal occassions and it looks so classy with the black face. Its seems to be just the right size and not too big or small. The strap also works really well and due to the design it does not need any alterations. The website and purchasing was very simple and easy to mavigate which is fab! When the watch arrived with speedy delivery, it was beautifully gift wrapped so i could give it as a fift straight away. The watch itself is gorgeous and clear with an amazing design. The strap is also very beautiful and very unique. Iveral a great service and the watch is smart, classy and very unique. 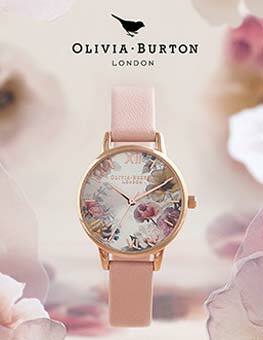 Beautiful watch! Great size and gorgeous on my partner with delicate wrists for a big man! Got it for€80 cheaper than in town!! Winner! I bought this watch for my boyfriend who is thrilled with it. I am delighted with the price I paid. 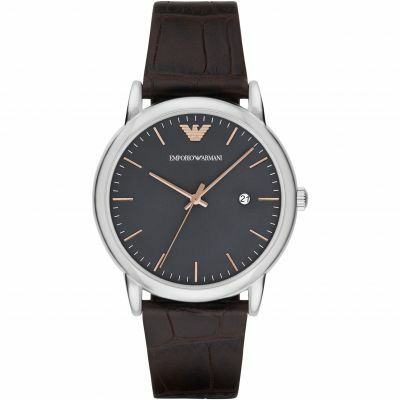 It is an amazing watch very classy my partner loves it! 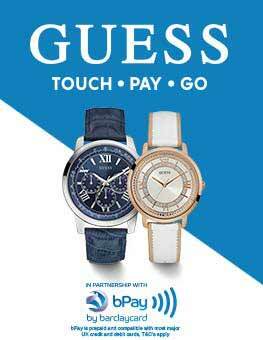 and watchshop definately has the best prices!! Great watch, great price and great service. I will be returning. Great watch, looks great on. I like metal straps but always used to break the clasps as I tend to play with them, so having a metal buckle strap is perfect. Recommend this watch. 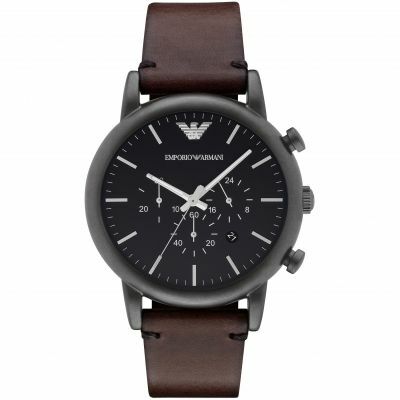 Brought this as a birthday present for my boyfriend, very good quality and having the strap style takes away the pressure of getting the right wrist size! Lovely feel to it and looks very smart for all occasions! Black face gives this smart look and was easy to see over the white face. The only draw back is that it is quite heavy but Im sure thats something to get used to! 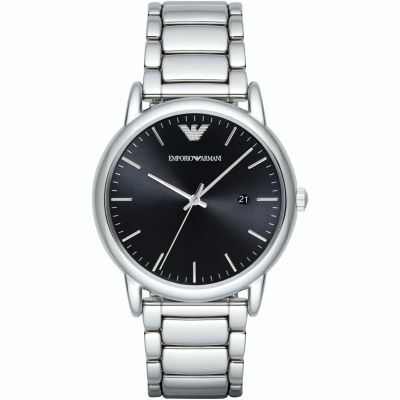 I love the look of this watch and found it as it described on site. Only one thing I didnt like and that is strap which is just a little to short for even normal size wrist.. The watch was given to my son as a chrimas present.the watch itself has very nice and solid feel to it.this watch will fit any wrist small or big i know this because my son has a very small wrist.the mesh bracelet can pluck your hair leaving a hint of pain that is my only complain.the product is very good over all. 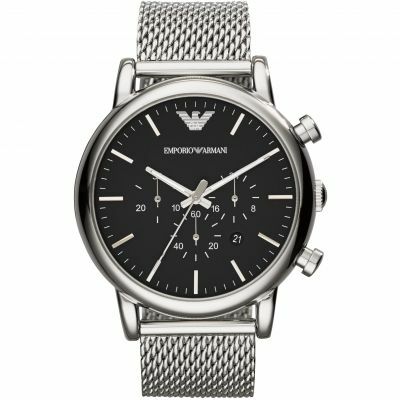 The watch was a gift for Xmas and when my son opened it I knew we had chosen right, he really liked the watch strap and buckle and the overall appearance of the watch on his wrist was exceptional. the cost of watch was absolute value for the money spent. Bought for my boyfriend for xmas. He absolutely loves it! Detail on the strap is gorgeous, looks bracelet like with a belt buckle clasp. Gorgeous clean lookin dial easy to read and just the right size for the wrist. Service was great cheapest place to buy the watch and came the next day! Definite buy!! 100% happy customer. A truly terrific timepiece. Normally when a package arrives I open it and find that theres an element of whats inside that Im not sure of. 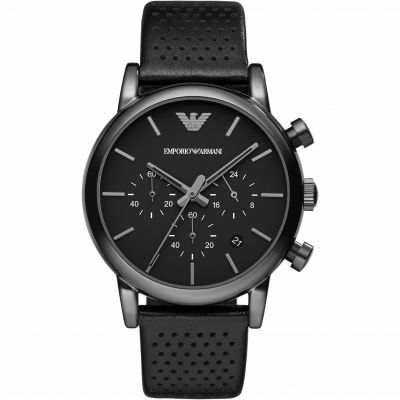 This Armani chronograph was different. It exceeded my expectations. The face, the detail, the ease of use, the strap. Its perfect. 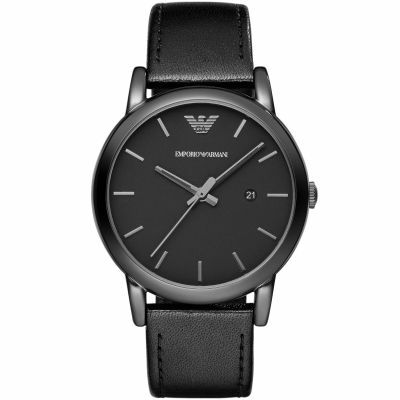 The face in some pictures looks black, its actually a dark graphite colour that looks gorgeous against the silver surround and strap. The strap itself is reminiscent of a heavy duty buckle fastening. Tricky to tighten but worth it when its closed. I had a chronograph before however the smaller clocks on the face were quite distracting. This is the opposite. Its clear and precise, the smaller features not at all distracting. Date, stopwatch and timer reset easily managed and very useful. On top of all this its a lovely weight and size, not too big that it takes over my arm and not too heavy that your arm needs a lunch break! A great price given the quality of the piece too. Ill love it until I lose it! I previously ordered this watch from another online retailer who having taken the money from my account instantly and promising the same week delivery, kept me hanging on for 3 weeks. Having cancelled that order i madecthe same order with Watch Shop and was delighted to receive it within a couple of days. Fantastic service to match a stunning watch which Im sure when given to my son on xmas day will make his eyes light up. 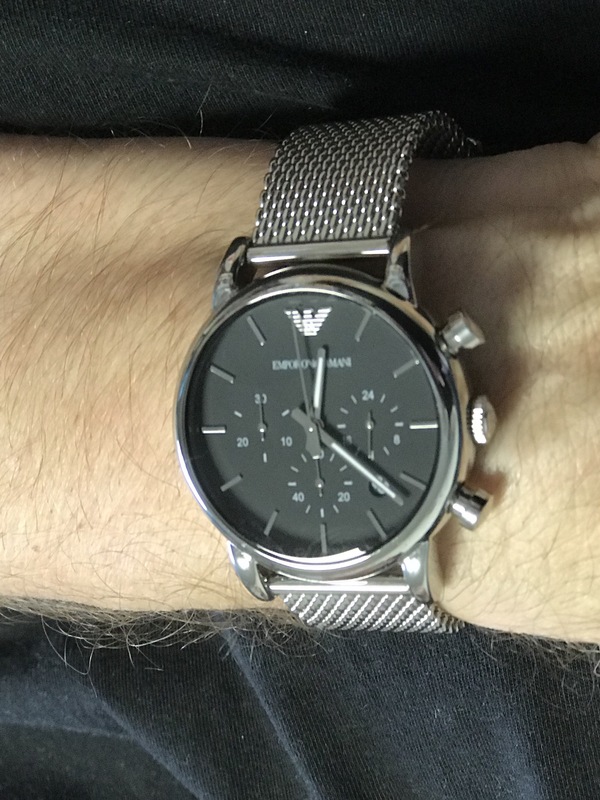 I was very happy with the delivery off the watch, the watch looked stunning in person, its an amarni watch silver mesh bracelete watch with a black face, I hope my fiancé loves it when he opens it Christmas Day. 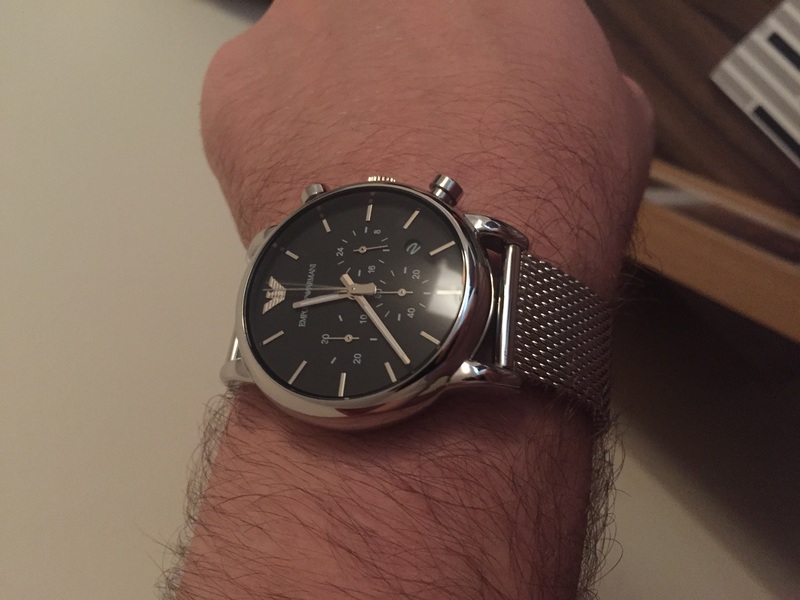 The watch was purchase as an 18th Birthday present for my son and he was very happy with it. The watch was a gift which came wrapped so I didnt get to see it. However, I was pleasantly surprised when the person who we gave it too showed us at church. He was overwhelmed by the watch, to say the least.